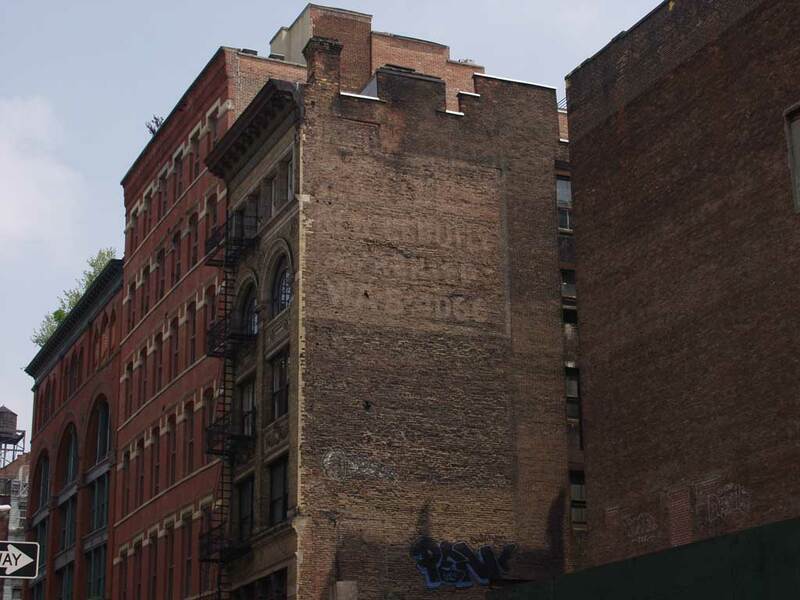 Resnick Scale Co. was located here at 40 Wooster St., just north of Grand St., from 1953 to the early 1990s. This ad dates from 1954, shortly after the move to this location. The Resnick ad claims 1907 as the established date. This date, however, is the year the proprietor, Samuel Resnick, immigrated to the U. S. The actual founding date for the business was in 1921. The founder was Samuel Resnick (1892-1954). He was born in Russia, and his naturalization petition dated 1923 said that he was born 25 November 1892 in Slonim, Russia, that he emigrated from Liverpool, England, 7 May 1907, and that he arrived in New York 17 May 1907 on the vessel Caramania. He had filed his declaration of intention to naturalize 21 November 1916 in Newark, New Jersey. Resnick registered for the World War I draft in 1917, when he was 24 years old, lived on Runyon Street in Newark, New Jersey, and worked as a "scale mechanic" for Meyer Scale Co., 409 Elizabeth Avenue, Newark, New Jersey. Resnick also registered for the World War II draft in 1942. Now he lived on Sedgwick Avenue, the Bronx. He was 49 years old and was self employed at 70 Grand St., Manhattan. The business, Resnick Scale Co., started at 359 West Broadway in 1921, moved to 495 Broome St. in 1925, then to 70 Grand St. in 1932/33, before they came to 40 Wooster in 1953.